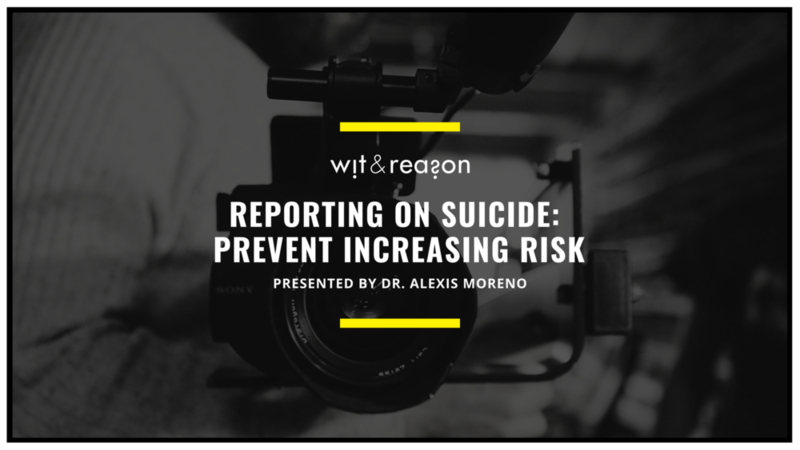 In honor of National Suicide Awareness and Prevention Week, we are publishing a free webinar recording with instruction by Dr. Moreno (available here on 9/14/2018). 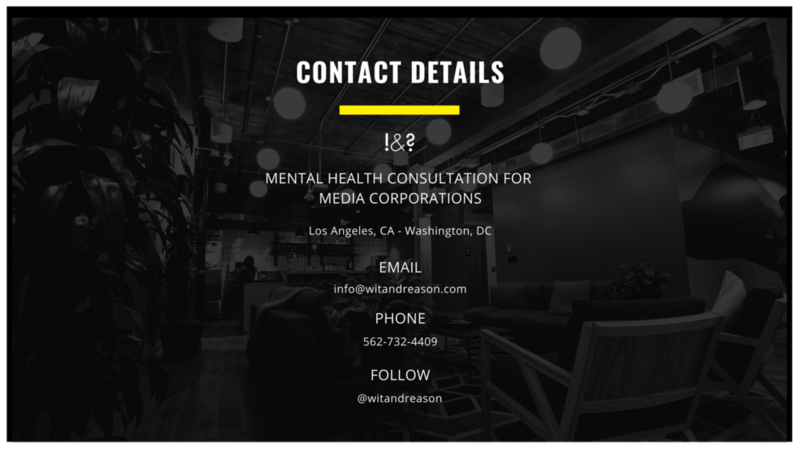 Below you will also find a downloadable PDF of the webinar slides for you to use and share. You also have access to a link to schedule Dr. Moreno for a complimentary live virtual presentation of the webinar for your staff with time dedicated to group discussions and Q&A. 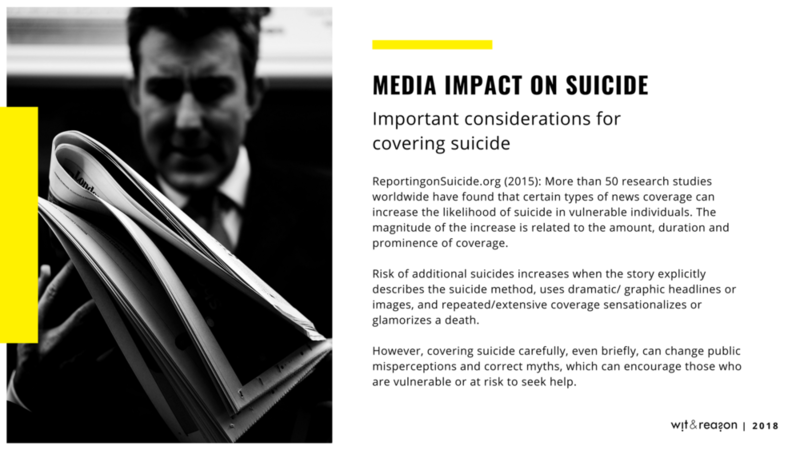 "Covering suicide is a critical responsibility that is unlike any other form of reporting."